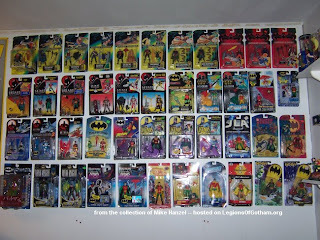 I have always been a fan of Batman and he is my favorite of all the Super Heroes. 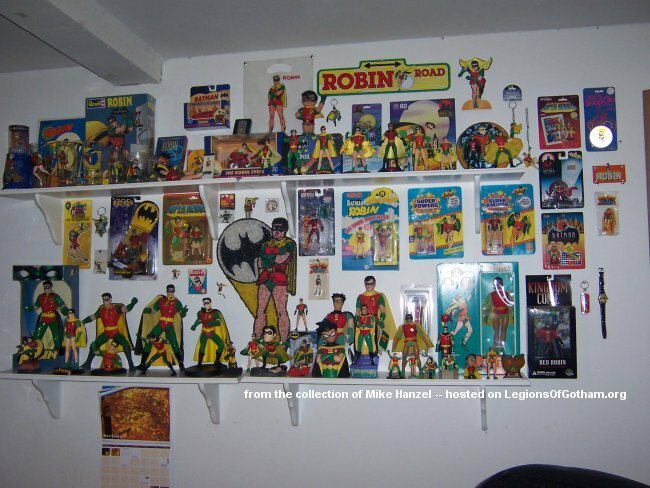 We always tend to concentrate on Batman around here when in actuality Robin has always gone side by side with Batman for me. 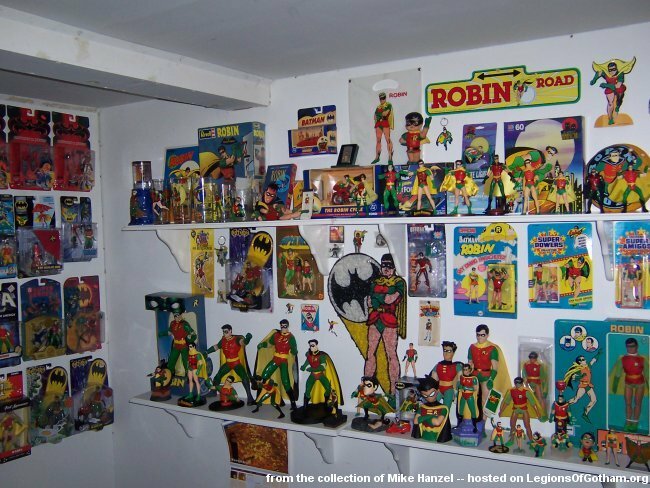 Looks like Mike has a Robin toy room. 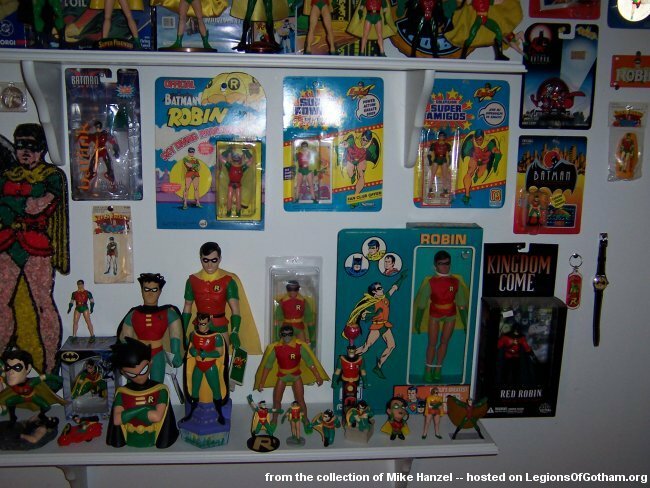 I thought this collection was too cool not to post. 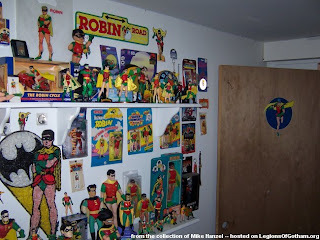 I remember wanting to get that item with the Bat Signal flashing behind Robin. Not sure what that was exactly, but it was put together with something like plastic popcorn. There was a Batman too with other heroes as well. Look at that Robin action figure display! 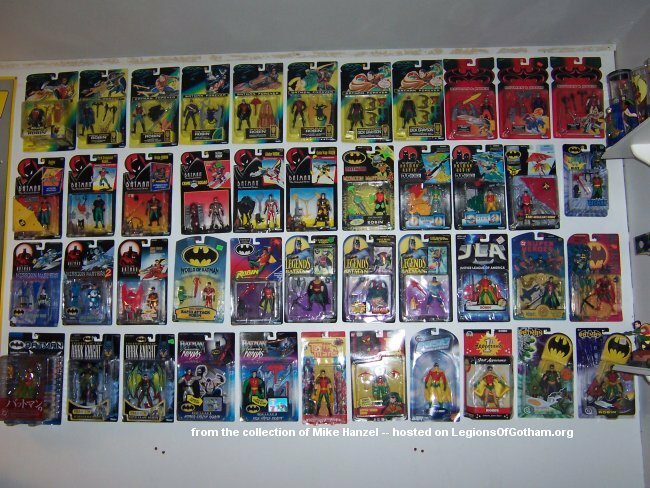 Send us pics of your Batman toy collection. I grew up watching the 1966 Batman TV show with Adam West and Burt Ward. 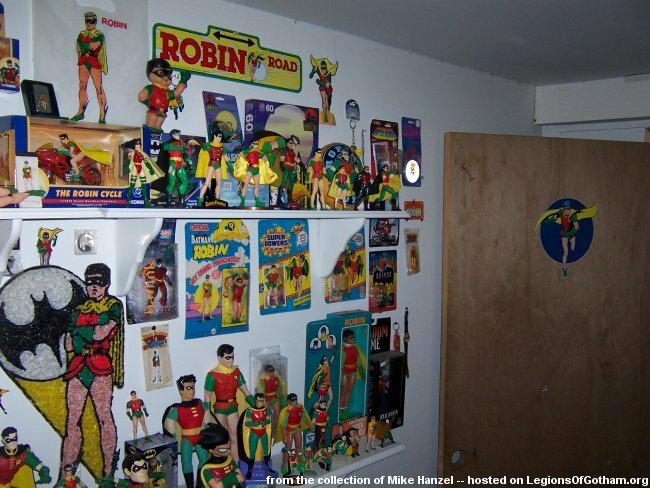 Loved Burt Ward's Robin. I have the Hot Toys Batman and Robin as well as, the Barbie Batman and Catwoman. I'll be doing posts about them soon.